Looking for a good cornmeal substitute? What you should choose as a substitute for cornmeal may depend on a number of different factors. 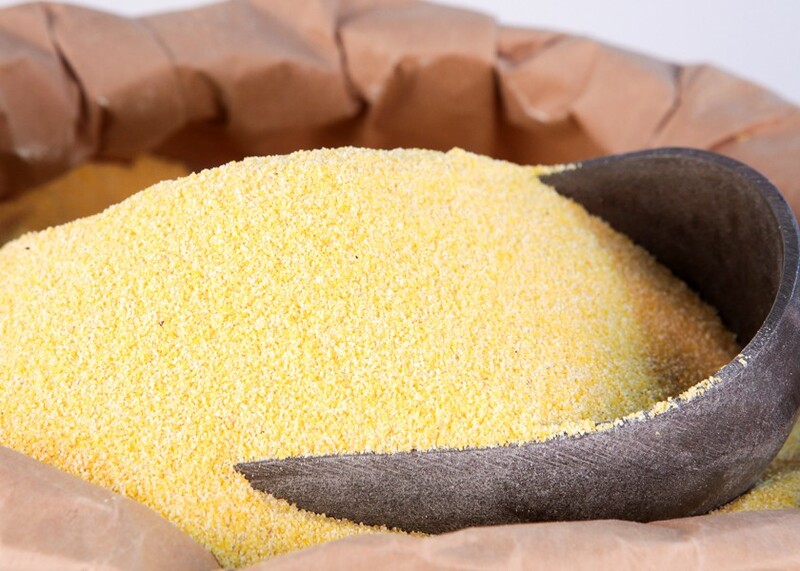 Cornmeal is generally used for either it’s flavor or depending on how coarsely it has been ground for it’s texture. As a general rule if the recipe that you are following requires cornmeal for it’s specific flavor then you are usually free to substitute other corn based products in its place. However, if the recipe you are using uses cornmeal for texture then you can substitute other grains or coarsely ground flours to get the desired affect. Just be careful that the substitute you use does not affect the flavor too much. Lastly, you may need to use a cornmeal substitute because one of your guests has a corn allergy. Like most allergies the number of people allergic to corn is on the rise. Yet it is not one that you hear about very often, as with any meal be sure to check in advance if you guests have any allergies. The following items are useful as a substitute for cornmeal. Some you will find in the average kitchen larder others you may need to obtain from a quality store, most however should be available in the majority of large supermarkets/grocery stores. Corn flour is nothing more than very finely ground cornmeal. Cornflour is a perfect cornmeal substitute if it is the flavor of corn that you require. Just be aware that using it will result in a much lighter end product. So for example if it is used in corn bread then the bread will not be as dense nor will it be a chewy as it would be had you used cornmeal. Polenta is essentially ground corn so it is a natural way to replace cornmeal in your recipes. If can be purchased in a variety of different grades so you can alter the texture based on whether you use a finely ground polenta or a coarsely ground polenta. It has the advantage of being able to maintain the required texture and the corn taste as per the cornmeal that may have been required in the original recipe. Plain or coarsely ground flour is an acceptable replacement for cornmeal especially if you are not that keen on the flavor of corn. The one great thing about substituting ordinary grain flour is that you most probably already have it in your kitchen so there is a less likely chance of you having to make a special trip to the shops to find it. Corn grits are just coarsely ground dried corn. How do corn grits differ from polenta? Well the variety of corn that is used in corn grits differs to the corn that is used in polenta. A lot of people think it is a regional thing USA versus Italy but it is in fact the actual strain of corn that makes them different. Semolina flour is made from the middlings of durum wheat and is a suitable substitute for cornmeal if it is the texture that you are trying to replace. Just be aware like any wheat based flour it will contain gluten. So there we have a few of the available cornmeal replacements. There are a lot more if you really put your mind to you may probably think of them quite quickly. For example some people may use oat flour for the texture and I have even seen people grind up tortilla chips in a pestle and mortar(although it is not exactly a healthy way to find a corn flavored substitute). Either way substituting cornmeal is really not that difficult and you shouldn’t have too many problems finding one suitable for you recipe.